Home » shoes » Shoe Are You? The following are a few thoughts from LA Based shoe expert and celebrity shoe columnist for The Hollywood Reporter, Meghan Cleary. Fall is finally in full swing. From what we have seen so far, what are celebrities' footwear saying about Fall footwear trends? From Gwen Stefani to Victoria Beckham to Nicky + Paris Hilton, black is back. Stilettos, ankle booties, multi-strap hybrid stiletto booties, you name it, basic black is stronger than ever. Tip: Look for classic silhouettes you can wear year in and year out and splurge on a well-made classic black pump. On the other end of the spectrum, we are seeing every color of the rainbow represented in footwear. From bright cobalt blues to strong reds, yellows to fuchsia, it's a rainbow world of shoes for celebs like Jessica Chastain and Tina Fey. Tip: Pair with opaque colored tights for a truly standout look. Every category of metallic from iridescent to crackled leather, metallic mirror to sparkly beading and details for celebs like Julianne Hough and Elizabeth Bank . Tip: Try shoe clips to add a bit of metallic to your shoe wardrobe without having to invest in a new pair. 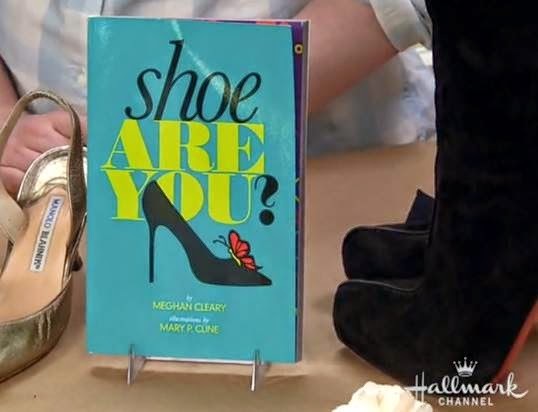 Meghan Cleary is the internationally recognized footwear authority whose insight on everything from the latest shoe trends to the hottest footwear designs to red carpet stilettos at the Oscars and Emmys has appeared in more than 4,500 media outlets throughout the world. Known for her signature trademark phrase, “what your shoes say about you”, Meghan has analyzed presidents, world leaders and fashion icons alike with her uncanny insight. From the minute she first laid eyes on a pair of baby blue wedges at age five, to sitting with luxury shoe designers in their studios in Italy, Meghan brings a new, fun expertise and flair to one of fashion’s hottest categories: Shoes. Equally at home in live and scripted environments, including the 45 live, one-hour Shoe Therapy ® shows she co-hosted on HSN, red carpet coverage on TV Guide Network and frequent appearances as a style expert on national television, including Style Network, E!, TODAY Show, Tyra, Extra!, CNN, Rachael Ray, CBS Early Show, Meghan has endeared herself to viewers with her easygoing, accessible, conversational style. A global footwear icon who has rubbed elbows with the likes of Christian Louboutin and top Hollywood stars — she also guides consumer shoppers on finding the perfect shoes through her media appearances and events. Meghan has produced a shoe and accessories collection, TV segments, documentary, internet content and two books, as well as reporting on industry trends within the footwear trade media. For nine years she has served as Contributing Editor at luxury trend publication JCREPORT breaking new designers to the market. A former marketing consultant on Wall Street, Meghan has also been a resource for a variety of top footwear and mass market retail companies in how to reach women shoppers with strategic merchandising and marketing concepts. Find more fashion and footwear blog posts here on Apparel Search.